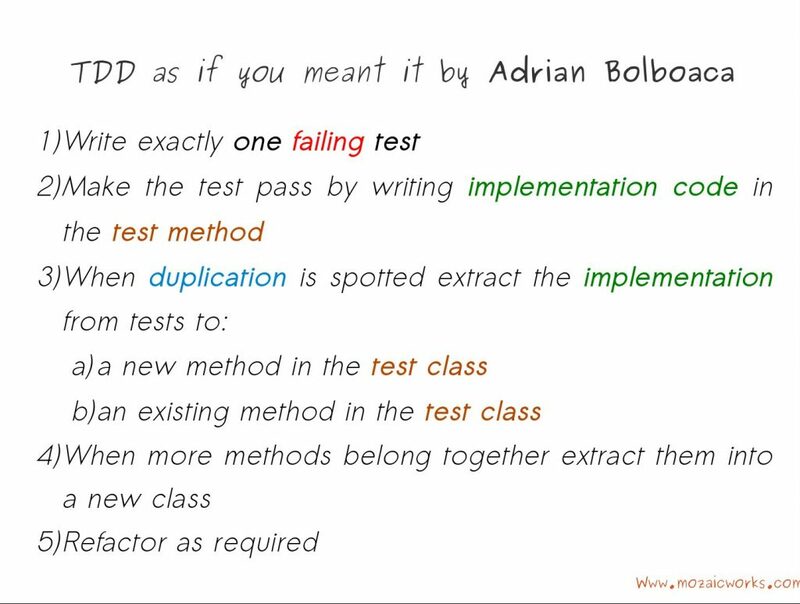 We do need analysis before writing code and before using Test Driven Development! Based on these guidelines I started writing some tests, while simplifying to the maximum the problem. Thanks for the comment Pawel! You are right, ‘that area is not tested. But when I will add a focused test on the other branch and extract the method, then the resulted method will be tested as it should.